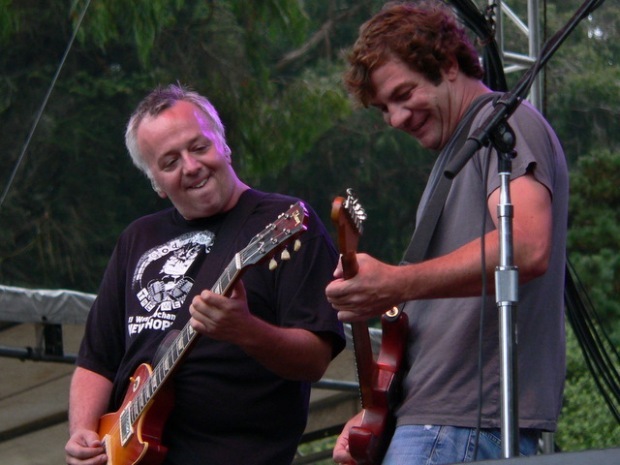 Ween has been playing together for 25 years now, and they brought their top shelf show to headline the Twin Peaks stage at the Outside Lands festival this year. The first Ween album I heard was The Pod. Gene (Aaron Freeman) and Dean (Mickey Melchiondo) Ween recorded it in their living room on a four-track. The recording was as low-tech as you could get, yet it was a masterpiece. Around the world, amateur musicians jam in their garages and living rooms just for the pure joy of playing music and The Pod captured the essence of this bliss better than anything I had ever heard before. 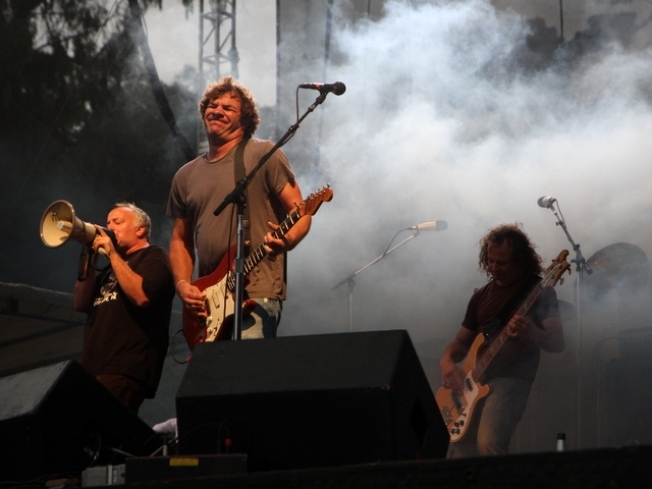 Then I saw Ween live—right before Pure Guava came out, when it was just Gene, Dean, and the tape machine—and was amazed at how only two people could fill such a big room with such happiness just by the strength of their songwriting and the earnestness of their performance. They kept coming around on tour and every time they got better. Then one year they played a show at the Fillmore with a full Nashville session band that was arguably the best live show I've ever seen. After 25 years, they have amassed one of the best songbooks in rock history. As musicians they've matured into one of the best live acts currently in existence. Dean alone, on a good night, can sound like the Jimi Hendrix of his era. Over the course of the past two decades this band made me a fan by never being less than excellent. Ween never fails to ENTERTAIN. Their performance at the Outside Lands festival was no different. In fact, Ween's set was masterful. After noting how cold it was, they started with a surging, majestic "Exactly Where I'm At." This was followed by a raging high energy "Bananas and Blow." After just coming off his recent solo acoustic tour, Gene's playing more tightly and fluidly than ever, and Deaner... it's like he has something to prove, spitting out one blisteringly amazing solo after another. The band kept shoveling out the hits at maximum velocity. “Learning to Love,” “Roses Are Free.” Live, Ween can take any song and turn it into a staggering operatic life-changing event. And they're constantly reinventing their songbook. At this show, "Flutes of the Chi" was revamped from a pop tune to something psychedelic and sludgy. Oh, yes, Ween have become the dominant masters of psychedelia. This tripping sheen can take a song like "Transdermal Meditation" and push it to the point of a religious experience. It's this magic that makes their shows so special. Ween doesn't just play their tunes, they take them for a f-ing ride. It's almost like they're pushing every song to constantly reinvent itself and reach its full potential. There's a pure joy these guys take in making music, they were born to do this and you can't help but get caught up in the power of their shows. Like when they went into their freight train-paced version of “Johnny On The Spot” with its extended, jaw-dropping, Hendrix-style freak out which was arguably the most inspired musical moment of the entire Outside Lands Festival. When they slid into a typically face-melting version of "Buckingham Green," the true believers started to feel the mojo and discover the religion of the Boognish. At a certain point in Ween shows, the sensitive ones can't take the nirvana of it all and begin gyrating and going into spasms like the lost and the deranged. These people started falling on me in ecstasy during this tune, and the rest of the show worked like a revival on them right up to the flawlessly beautiful version of "Spinal Meningitis Gets Me Down" that ended the show. The encore kept pummeling the fans right up till the “The Blarney Stone” ended it all with ringing guitars and pretty Celtic psychedelia. This was a great show. If it was your first time seeing Ween, I don't know how you could have walked away without becoming a fan.